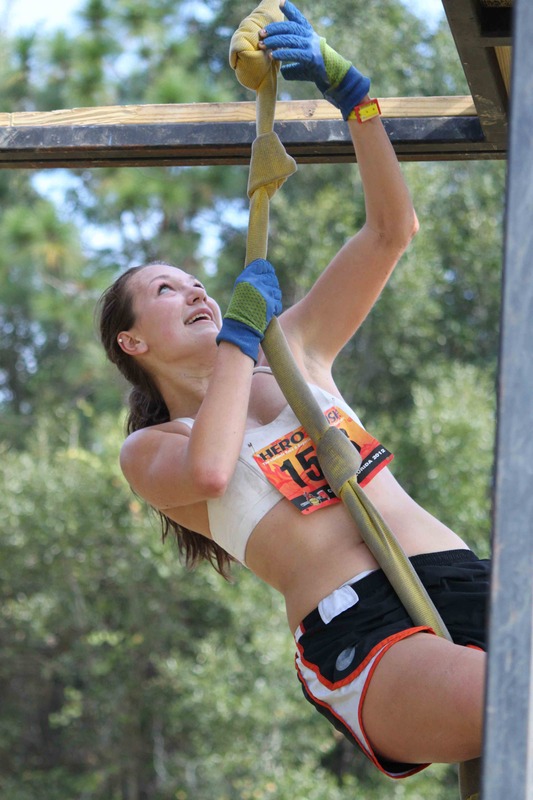 OCALA – Hero Rush did not feature monkey bars, balance beams, or cargo nets. There was no funky animal smell, all the more impressive considering the event was held at the Florida Horse Park. Heck, there wasn’t even mud. 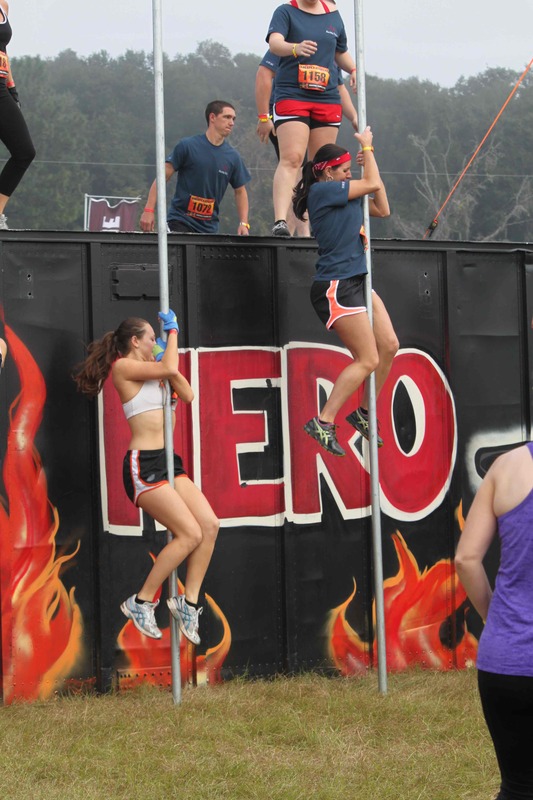 And yet, the firefighter-themed obstacle race that staged nine events this year, including the season-ending, 4.7-mile race here Saturday in Central Florida, might be the best overall obstacle experience of the dozen I’ve done. Perhaps no race – including the Big Three national circuits of Tough Mudder, Spartan Race, and Warrior Dash – does a better job of providing unique obstacles, athletic challenges, and Fear Factor-style discomfort wrapped in a highly-organized, impressively-branded package with no waiting anywhere, along with the most unique race start in the industry. We’ve wondered in recent months if obstacle racing is for real or if it’s just a fad. There’s no question it’s huge right now, drawing 2 million participants in 2012 and providing $50 million-plus in revenue for each of the three biggest race series. But there’s also a bucket-list element to these events. Most people tend to do one, enough to get a feel for the obstacles that are fairly similar across the board and to post the mandatory muddy photo on Facebook. The dirty little secret of most of these muddy events is that they’re not nearly as physically challenging as advertised, especially when athletes often end up stopping several times during the race to wait in line for obstacles to become available. 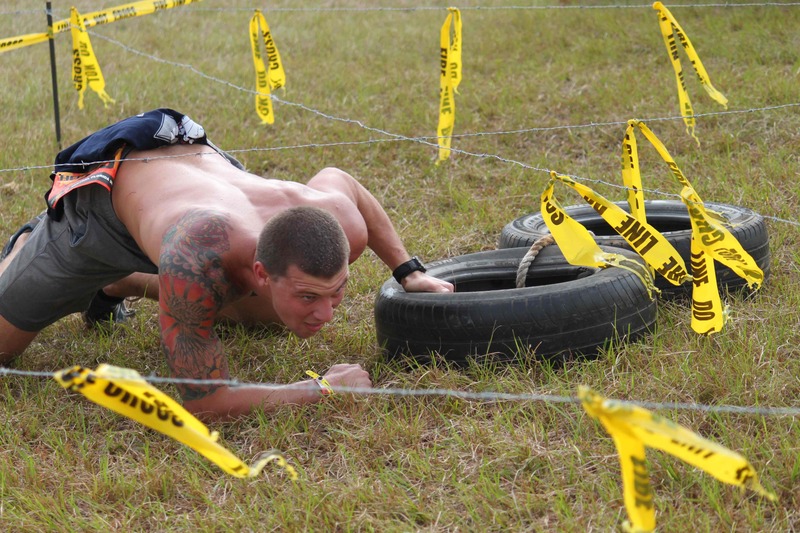 People use the terms “mud run” and “obstacle race” interchangeably, but there’s a difference. Joe Desena, creator of the Spartan Race, bristles when people call his race a mud run. He sees this as a competitive sport, no different than road racing or triathlon, not some untimed slog through the mud. That’s why we’re betting the long-term survivors in this crowded category will be events like Spartan Race and Hero Rush, which place the emphasis on physical challenges and running, not dealing with one mud obstacle after another. 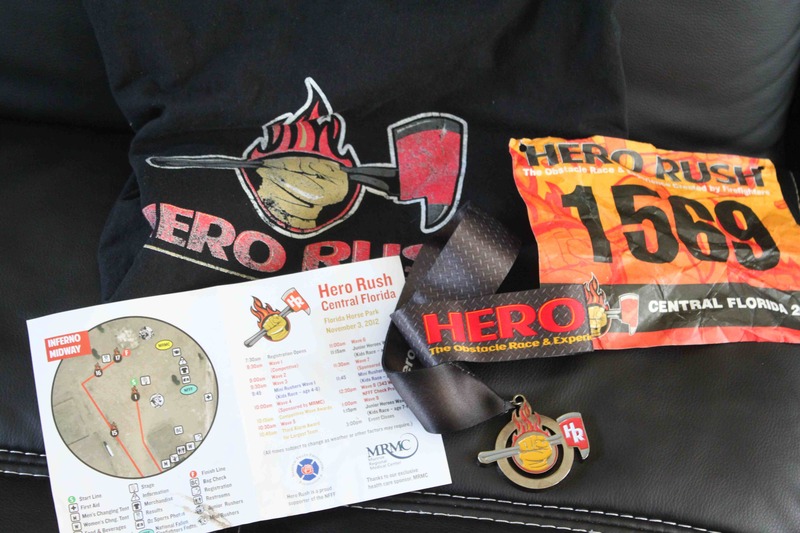 Hero Rush placed just 17 obstacles in its 4.7-mile course and that was a perfect number. Some events like to cram in as many challenges as possible and limit the running, but we believe the upside to these races long-term is that they test overall athleticism — strength, power, and endurance – – better than ultrarunning, triathlon, or even CrossFit. So they should have a combination of lots of running and strength challenges. Hero Rush includes about 10 challenges unlike any in the industry. 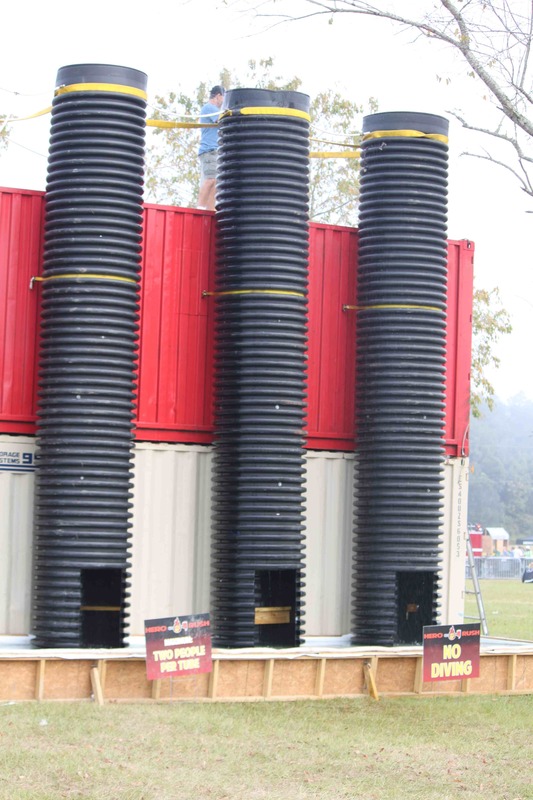 This being a firefighting-themed event, there were three obstacles in the dark. In “Mazed and Confused,” you entered a tunnel on hands and knees into the darkness, forced to feel your way through a labyrinth. For those of us prone to claustrophobia, this was brutal. After several dead ends, I finally saw daylight. But it wasn’t really daylight. Instead, it was thick smoke as you emerged under a tarp, which required another 10-yard stumble before clearing. Perhaps the most creative obstacle was “Hoarder’s Hell,” which simulated a hoarder’s house on fire. Athletes climbed a ladder into a second-story structure. Navigating the darkness and smoke, they stumbled over boxes and who-knows-what-else before exiting on the other side for the climb down. 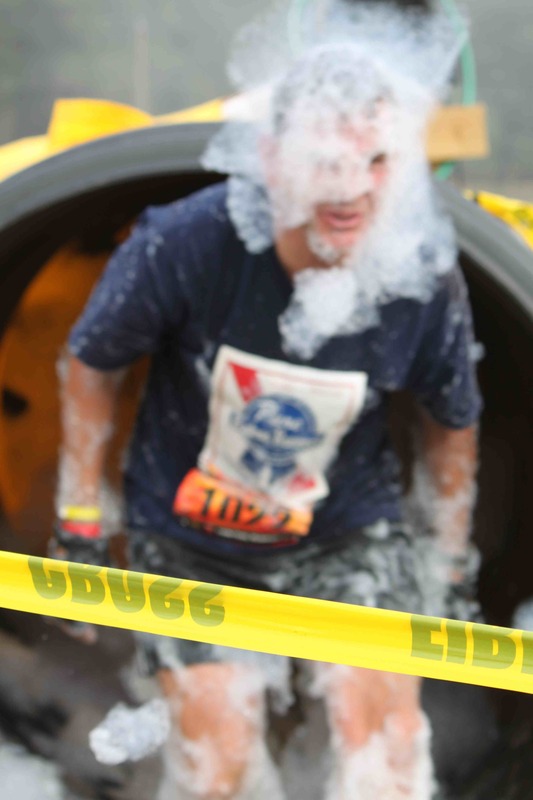 “Foam Adventure” required athletes to tunnel through another labyrinth, this time through thick foam. My favorite obstacle – Staying Alive: CPR Stop – came after what seemed like a mile-long run through the woods. (Hero Rush strung police tape around all trees on the course, making it impossible to get lost, by far the most well-marked course I’ve ever encountered). Upon exiting the woods, there was a clearing with about two dozen CPR dummies laid out wearing orange shirts. Athletes had to deliver 30 chest compressions before advancing, no small task after running a mile. There were obstacles with walls and low-slung barbwire. But instead of leaping walls or tunneling through mud, the challenge was to drag two tires strung together, the equivalent of an unconscious person. Dragging “bodies” over walls, under barbwire, and through culverts was tough. Athletes had the option of pairing up to carry heavier tire-laden stretchers. Toward the end came the “Towering Inferno,” requiring navigating a narrow cylinder up 15 feet with modest footholds as water rained down. That delivered the athlete to the top of a waterslide, which was followed by a waist-deep slog through a pool of water while kids blasted more water. From there it was a leap over a gauntlet of Duraflame logs to the finish. We were glad to see the Florida Horse Park welcome Hero Rush, giving obstacle racing a second chance. The facility was rented in February for a now-defunct race that was a complete train wreck. The FHP hosts big-time equestrian events and Hero Rush managed to lay out its obstacles so athletes would not tread on the neatly-manicured horse courses. Hero Rush brought in 15 port-a-johns, but also had the FHP’s massive, permanent restrooms, which even featured showers. Not that anyone needed one. Hero Rush did a great job keeping athletes out of the mud and thoroughly washed off at the end between the foam, water slide, and water gauntlet. I exchanged my $5 of Hero Dinero for a barbecue sandwich and mingled in a postrace area completely branded with Hero Rush. We’ll deduct a few points for a pedestrian black T-shirt with the Hero Rush race calendar on the back, an unfortunate 1980s concert T-shirt look Spartan Race and Tough Mudder also prefer. But Hero Rush made up for it with a race map and a timetable for the day included in packets. I’m not big on post-race medals, but Hero Rush delivered here, too, with one of the sharper trinkets. That window dressing, along with race branding, the start, and attending to details like (free) bag checks, and no-wait registration, makes a difference. Hero Rush was the first of two races I did on Saturday. After doing the 8:30 wave in Ocala, I drove an hour south to Brooksville for the 1:30 wave of the inaugural “Baddest Mud Run.” The crowds had dissipated by the time I arrived at the Hernando County Fairgrounds for what was billed as the “Dash for Cash” wave, with the top three men and women receiving prize money. I finished third among men in a lightly-contested race, picking up $75 for my effort over a 3.5-mile course, which I guess technically makes me a professional obstacle racer. 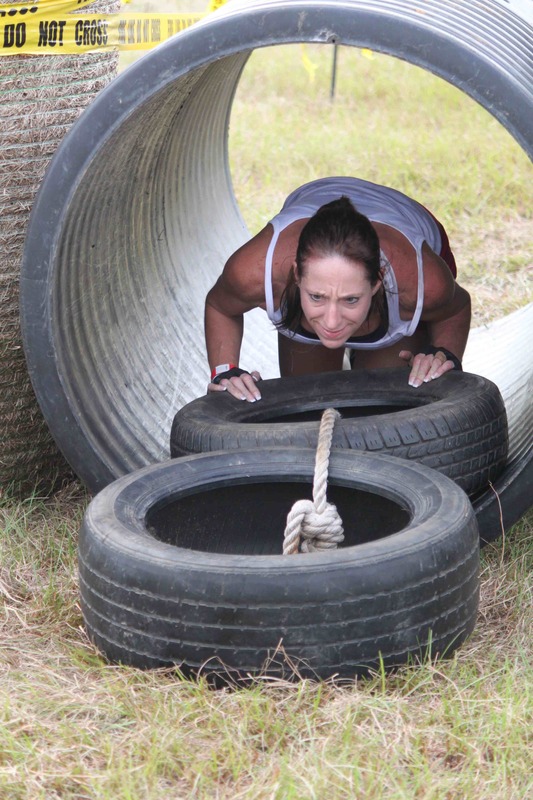 Unlike Hero Rush, the Baddest Mud Run was a constant slog through mud, over corral gates, downed trees, and tires, through creeks, and even a meandering run through a barn. In short, it was a typical mud run. A good mud run, but one that felt less like an endurance test and more like dashing through a farm and around construction sites. It’s an experience that’s gotten a bit tired this year as dozens of entrepreneurs, especially here in Florida, have sprung up looking to become the next Tough Mudder. Perhaps there’s still a huge market for people looking for the bucket-list mud run experience. 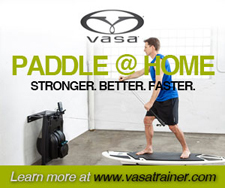 But repeat customers want a greater athletic challenge. If the obstacle race folks hope to continue luring customers away from road racing and triathlon, they might want to consider dialing down the mud and focusing more on the obstacles and the race. 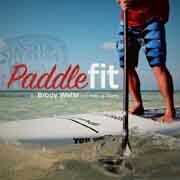 Awesome & accurate review! Hero Rush is a MUST if your looking for an endurance/strength obstacle run event with great entertainment and unique obstacles. Not to mention a family friendly event for kids of all ages. Thanks for sharing. I’ve heard of many races in Florida but never Hero Rush. Sounds like a great event that challenges the other “mud run” races. On the Money review! Hero Rush was my 3rd “Mud” Obstacle challnge this year. Your review is a MUST read if your looking for an endurance/strength obstacle run event with great entertainment and unique obstacles.